Last week I made a electronics workbench from scaffolding wood and galvanised steel. When working with electronics you need a lot of storage space. 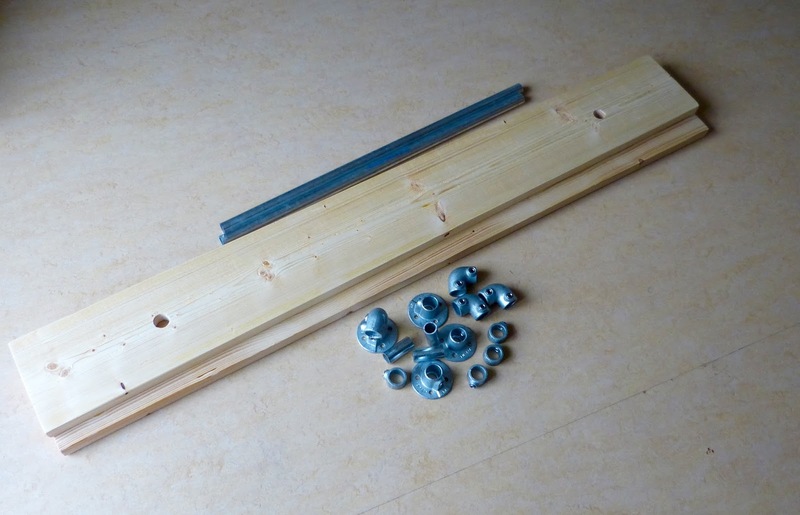 Therefore I wanted to make shelves, preferably in the same style as the workbench. I like the workbench but the price of the galvanised clamps was steep. Luckily I found an online supplier that offers the clamps for 1/3! of the price that I paid at my local hardware store. 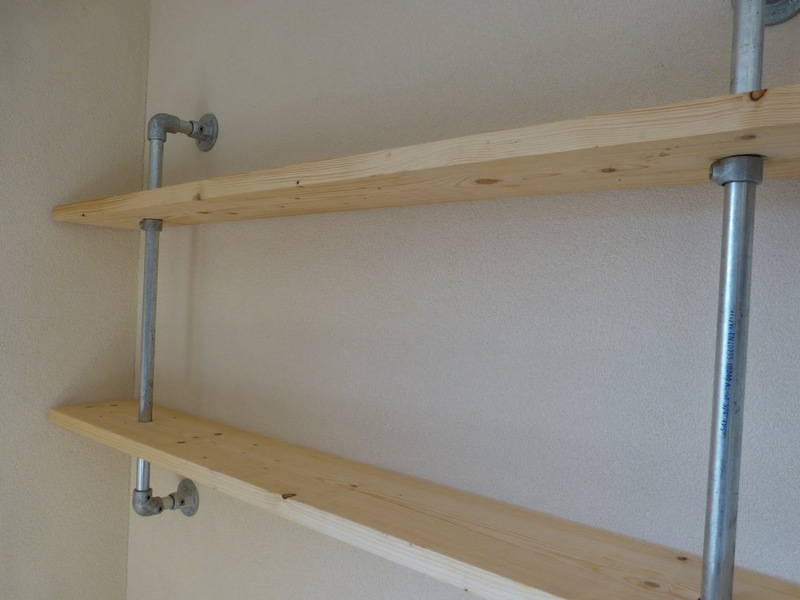 The total price of the shelves was $30 using some scaffolding wood that was left over from the bench. 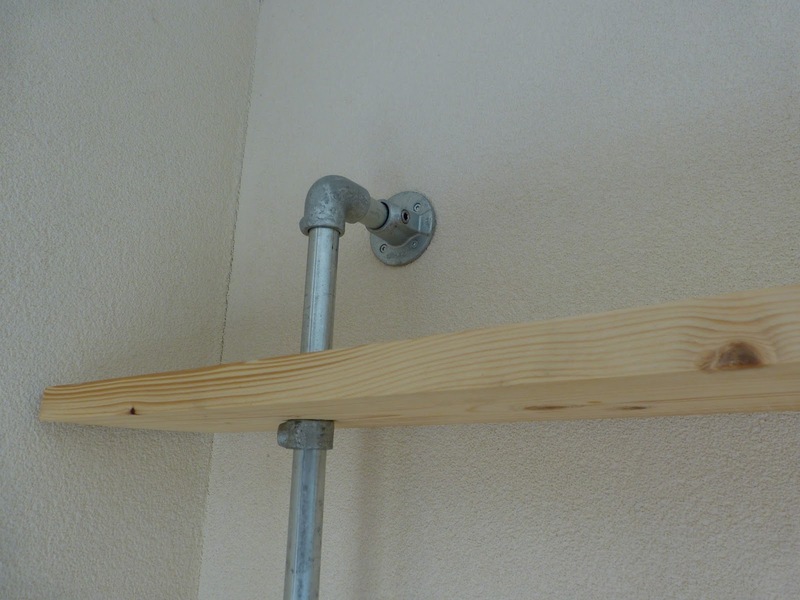 I sanded the wood thoroughly carefully removing all splinters, drilled two 28mm holes for the steel pipes in each shelf. Next I applied three successive layers of oil to the wood. I cut the steel to the desired length and assembled the clamps. Each shelf is hold in place with 28mm lock rings. 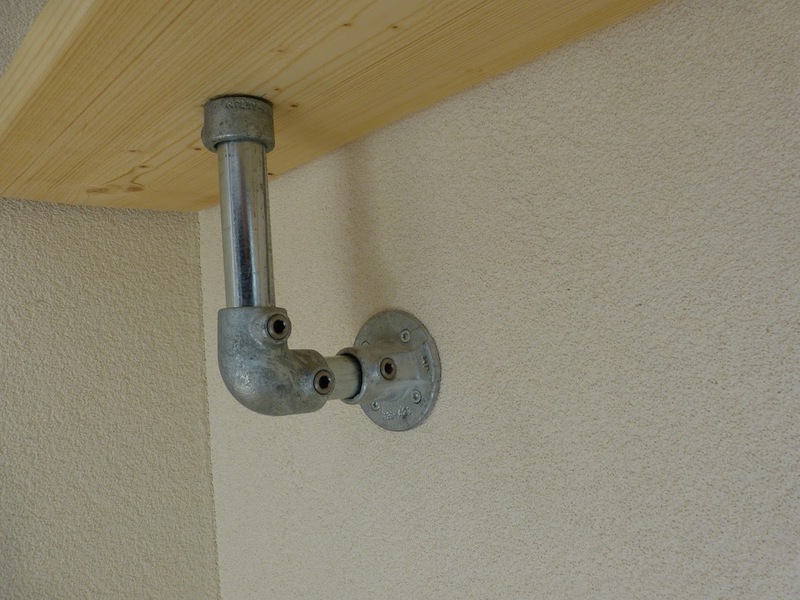 I fastened the whole construction to the concrete wall. Below is some imagery of the shelves and the workbench. 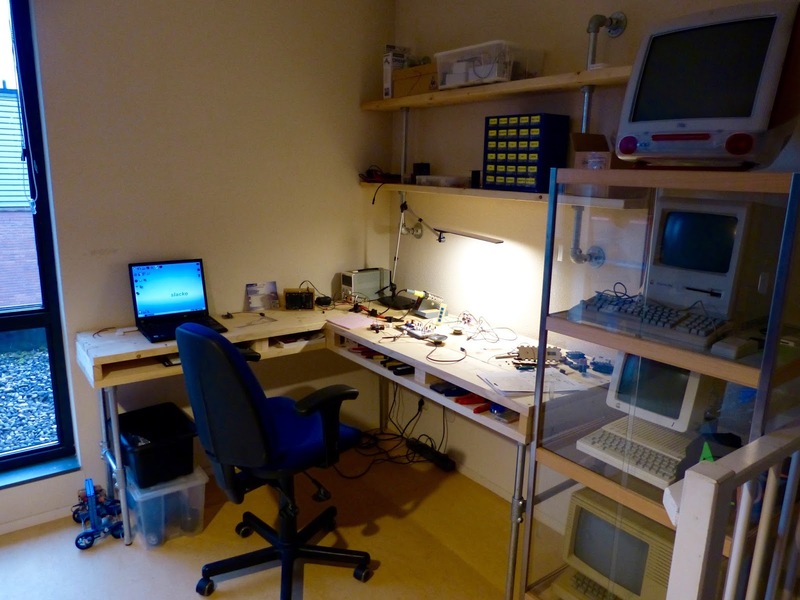 The now populated electronic workbench and much needed shelves. Finished scaffolding wood, galvanised pipes, clamps and locker rings. Time to assemble the shelves. Top shelf with the clamp and lock ring visible. Detail of the bottom shelf. With the socket screws it’s very easy to adjust the construction. Finished shelves fastened to the wall.